ASUS has unveiled three new devices in its Zenfone line up today by announcing Zenfone 3, Zenfone 3 Ultra and Zenfone 3 Deluxe. ASUS had teased these upcoming Zenfone devices around two weeks back, and, the press renders of Zenfone 3 and Zenfone 3 Deluxe had also surfaced online last month. Talking about the Zenfone 3, it’s powered by a Snapdragon 625 SoC which is coupled with 3/4 GB RAM and Adreno 506 GPU. It sports a 5.5-inch Full-HD (1920 x 1080 pixels) Super IPS+ display and packs a 3000 mAh battery. There’s also a fingerprint scanner located at the back of the device along with the 16 MP ASUS TriTech primary camera. At the front is the 8 MP secondary camera for video calling and taking selfies. The front and back of the device are covered with 2.5D Gorilla Glass. The 3 GB variant comes with 32 GB of internal storage whereas the 4 GB RAM variant comes with 64 GB of internal storage. 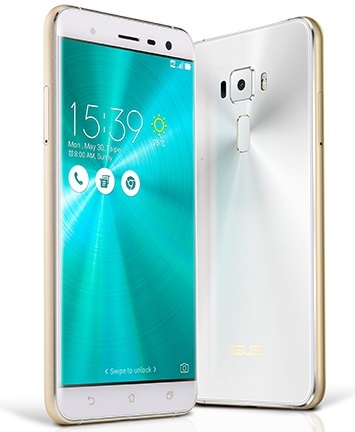 The Zenfone 3 will be offered in four different colors – Shimmer Gold, Aqua Blue, Sapphire Black and Moonlight White. The 3 GB RAM + 32 GB storage variant is priced at $249 (around ₹16,700). Coming to the Zenfone 3 Ultra, it has Snapdragon 652 SoC and 4 GB RAM under the hood along with Adreno 510 GPU. 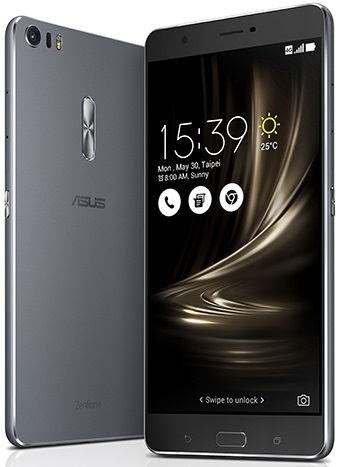 Being a phablet device, the Zenfone 3 Ultra boasts off a huge 6.8-inch Full-HD (1920 x 1080 pixels) IPS LCD display. ASUS has thrown in a massive 4600 mAh battery to keep this giant device powered through the day. It comes with Quick Charge 3.0 which means you can quickly juice up this device. The Zenfone 3 Ultra has 128 GB of internal storage on board and features a 23 MP ASUS TriTech rear camera and an 8 MP front camera. The device also comes with a fingerprint scanner which is housed on the physical home button. It’s also the world’s first smartphone to have Tru2Life+ Video technology which provides much clarity to the videos before they are displayed. It’s also the world’s first smartphone to come with virtual 7.1-channel surround sound with DTS Headphone:X. The Zenfone 3 Ultra will be offered in three different colors – Titanium Gray, Glacier Silver and Rose Pink. The Zenfone 3 Ultra will cost you $479 (around ₹32,000). 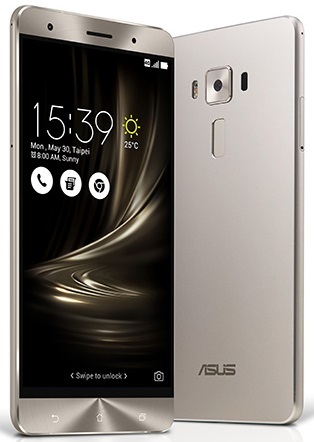 The third device that ASUS unveiled today is the Zenfone 3 Deluxe which is also the most powerful amongst all the devices ASUS unveiled today.The Zenfone 3 Deluxe is powered by Snapdragon 820 SoC which is paired with 6 GB RAM and Adreno 530 GPU. The device boasts off a 5.7-inch Full-HD (1920 x 1080 pixels) Super AMOLED display and ships with a 3000 mAh battery with Quick Charge 3.0. 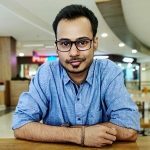 The camera setup on this device is similar to that on Zenfone 3 Ultra, 23 MP rear camera and 8 MP front camera. The fingerprint scanner, similar to the Zenfone 3 Ultra, is located at the back. Not just that, even the audio setup is similar to that of the Zenfone 3 Ultra. It will be offered in three different colors – Titanium Gray, Glacier Silver and Sand Gold. The 6 GB RAM + 64 GB (UFS 2.0) internal storage variant is priced at $499 (around ₹33,500). The 256 GB (UFS 2.0) variant will be available later on. All these devices run on ZenUI 3.0 based on Android 6.0 Marshmallow and come with USB Type-C port. There’s no information about the availability yet. Which device did you like the most? Let us know in the comments below.